Located in Yongkang, China, we are a prominent manufacturer, exporter and supplier of Diamond Turbo Cup Grinding Wheels. 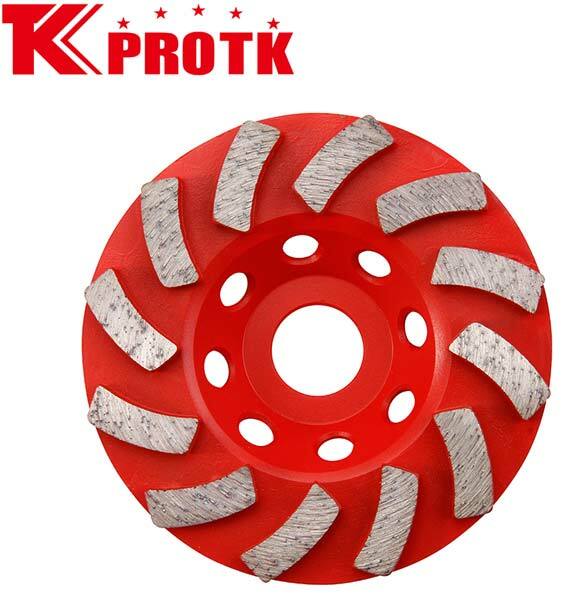 The Diamond Turbo Cup Grinding Wheels are used for grinding and polishing all kinds of natural stones, concrete and concrete products, granite, etc. The range we provide is available at reasonable prices. Also, the standard packaging is carried out and the available sizes diameter is 4, 4.5, 5, 6, 7 and 9.